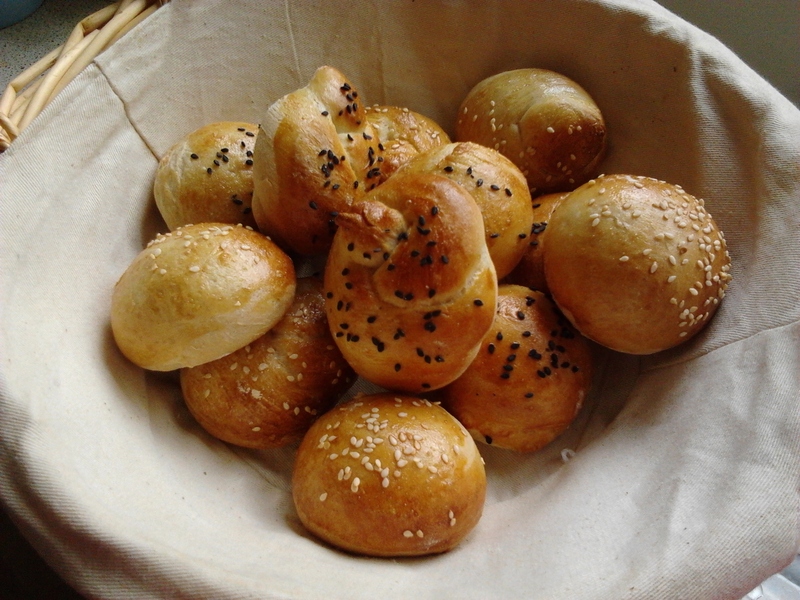 However, Mrs Stephenson’s bread rolls were more inspiring to Lorraine and it’s easy to see why. 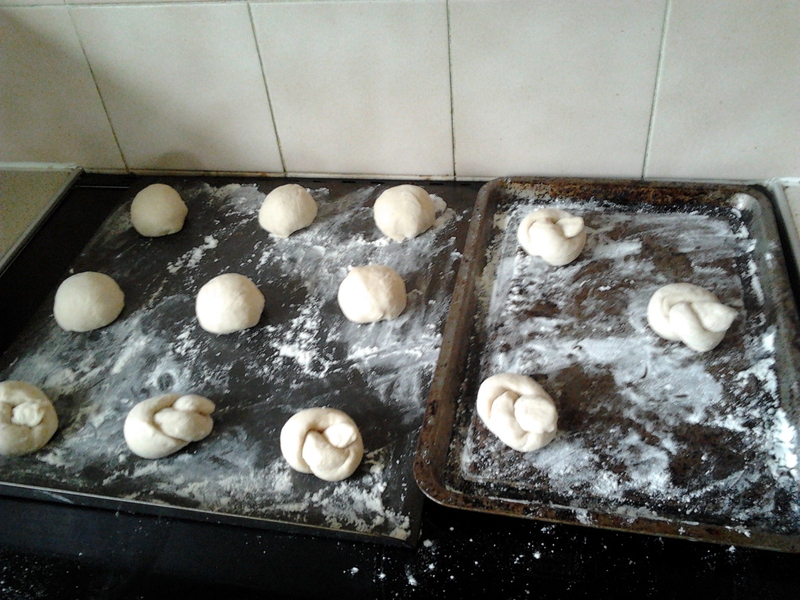 I used my bread machine for kneading because of my dodgy wrists, but took the dough out before it had done any rising. Then I weighed the dough and split it into 12 equally heavy balls. This is worth doing because they look so much better when uniform. I shaped 6 balls, and 6 knots. To make the balls look nice, roll it in your hands to make a sphere but then tuck edges tight underneath to make a taut ball. This video shows one way of doing it. Watch how she tucks and then sort of squeezes it between her thumb and finger. To make knots, roll the ball into a sausage, knot it and then place on the tray covering one end of the knot. 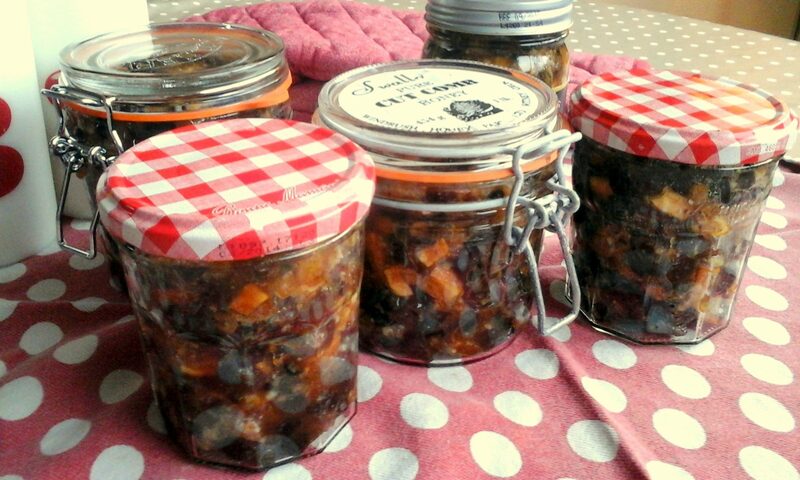 Leave to rise for about an hour. To test if they’re done, prod a roll with a floured finger (your own preferably). The dough should spring back about halfway. Obviously you’re now left with a dent in the bread. In fact, if it turns out they weren’t ready, you’ll end up with a succession of dents. Don’t worry, the roll will more or less spring back in cooking. 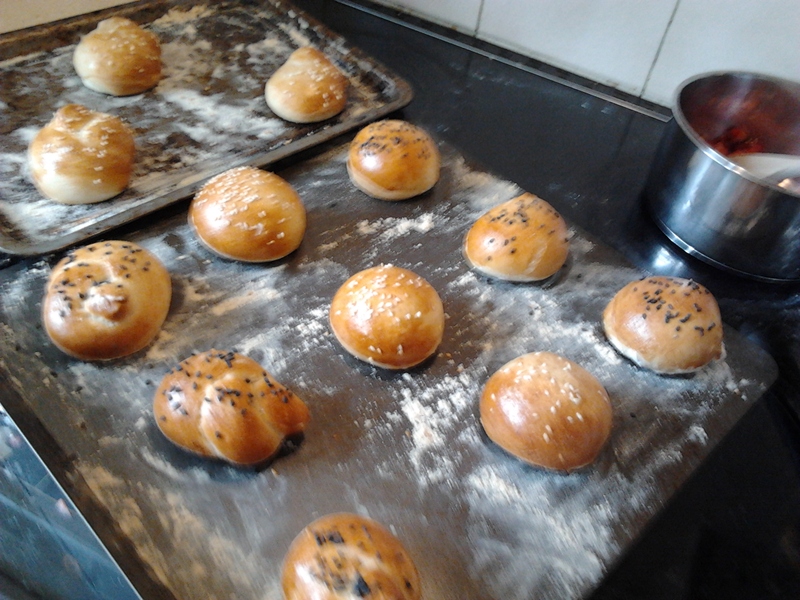 Before cooking brush with egg wash and sprinkle with sesame seeds or poppy seeds. I didn’t have poppy seeds, but I had black sesame seeds (from some Indian cooking) which did the trick. 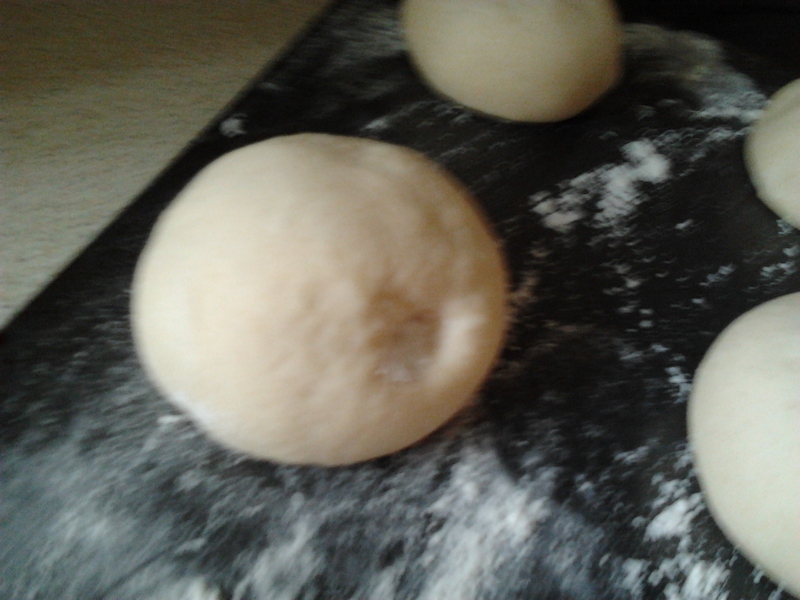 Bake for about 15 minutes, or until the rolls sound hollow when tapped on the bottom. They looked absolutely gorgeous. Well done Mrs Stephenson! 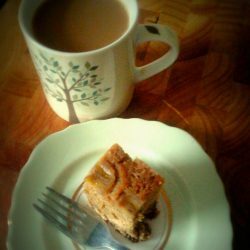 They are pretty small – ideal for with dinner or soup, but not so good for a sandwich. 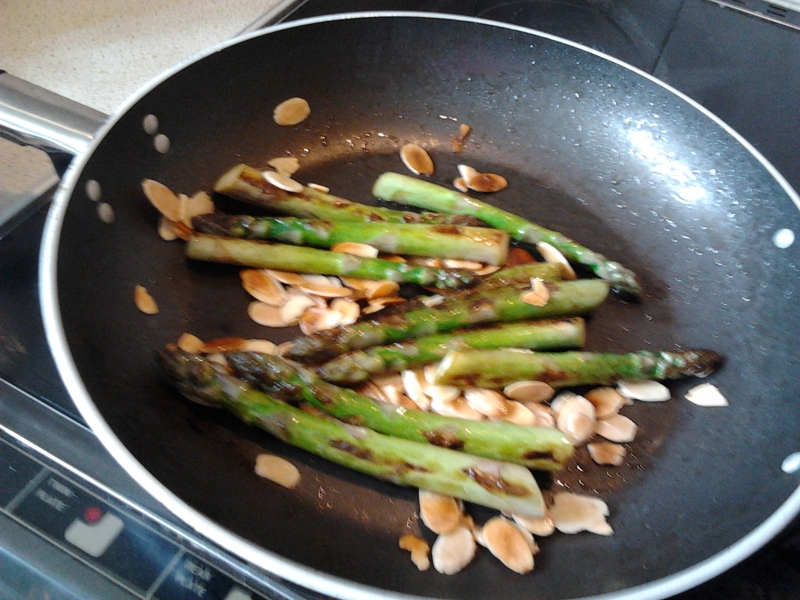 On the same weekend, I cooked pan-fried asparagus with toasted flaked almonds. The recipe is in the title really. It takes about 10 minutes and was a pleasant accompaniment to fish.